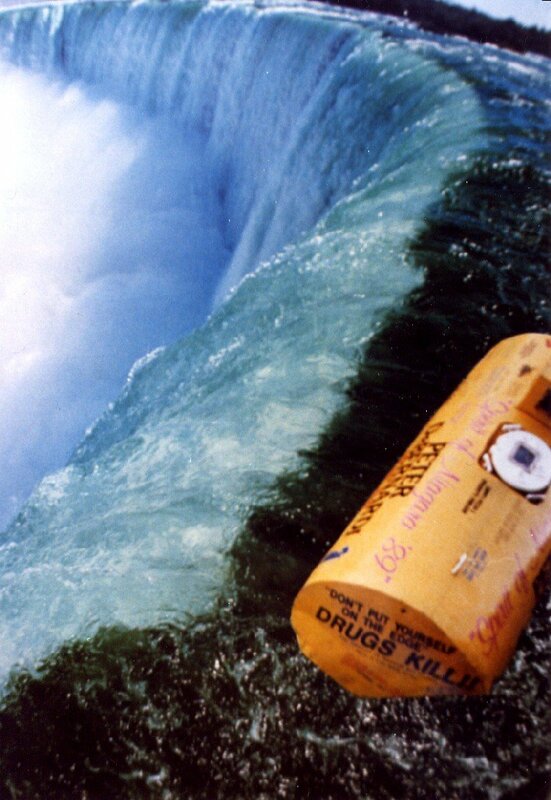 *Pictured Above: Peter DeBernardi and Jeffrey Petkovich suffered only cuts and bruises after plunging over the Horseshoe Falls in a home-made barrel and becoming the first double stunters in September 28th 1989 (photo cred: Niagara Falls Library). Welcome to Tuesday Trivia! I will tackle you with questions on varying subjects on our amazing city of Niagara Falls, Canada to challenge your knowledge on how much you know about this amazing city. Today’s topic is Niagara Falls Daredevils….let’s go! 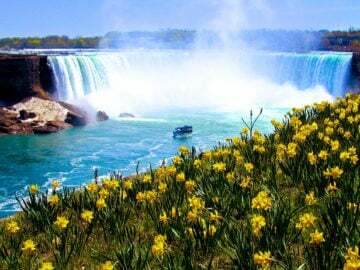 1. Who was the first stuntman to go over the Canadian Horseshoe Falls TWICE? Answer: B. On October 5th, 1985, John “David” Munday, a skydiving instructor with 1,400 completed jumps, plus an accomplished helicopter and aircraft pilot, risked it all to complete his mission to go over the Horseshoe Falls in a barrel. 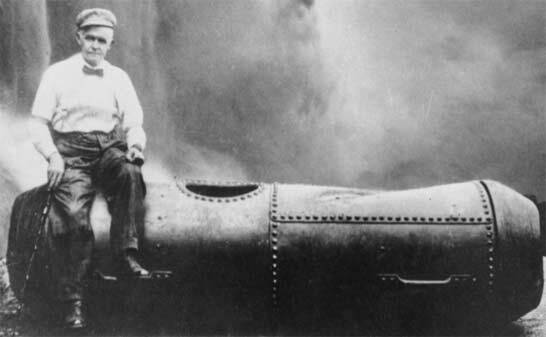 He became the ninth person to go over the Niagara Falls when he unloaded the barrel and launched into the water within 137 metres of the brink of the Horseshoe Falls. He went over almost immediately, but the barrel became trapped for 90 minutes before Munday was rescued. 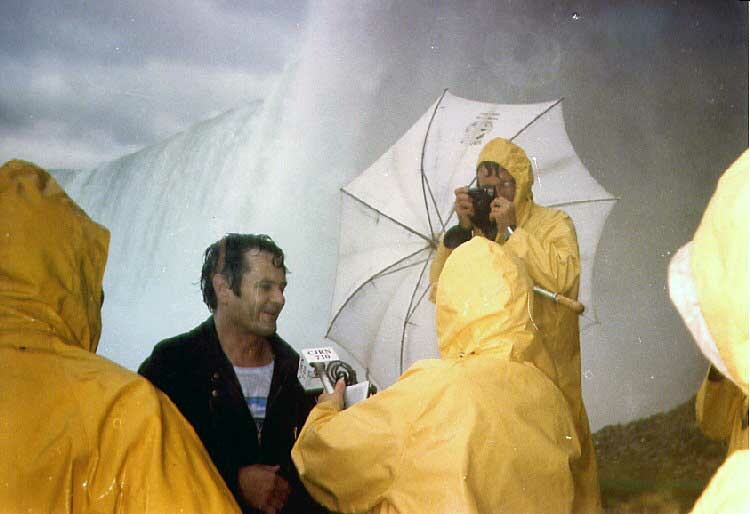 He attempted the stunt again on September 27th, 1993, becoming the first stuntman to go over the Canadian Horseshoe Falls twice. 2. Who was it that received a total of four medals in addition to being credited with saving 28 lives and the recovery of 177 accident and suicide victims from the Niagara River? 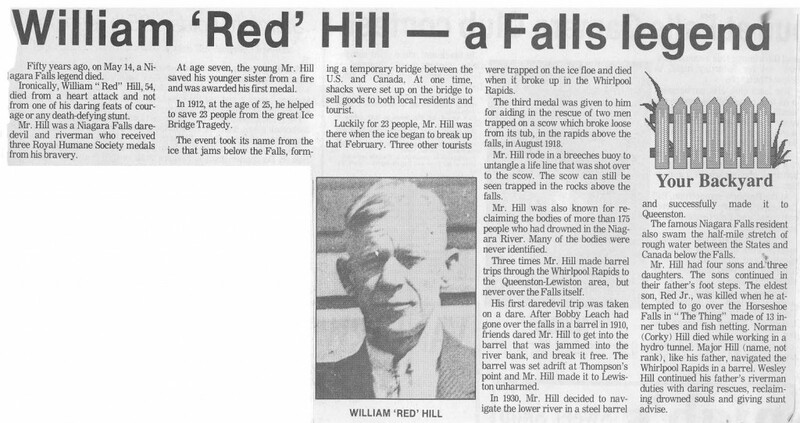 A) William “Red” Hill, Sr.
Answer: A. William “Red” Hill, Sr. (November 17, 1888 – May 14, 1942), had extreme knowledge of the Niagara River tides, undertows and currents, and became known as the best of the “rivermen” and was a Canadian hero with his rescuing ventures. His exploits include: 1896 saved his younger sister Cora from a burning house, in 1910 he rescued Bobby Leach from the Whirlpool Rapids, in 1912 he rescued Ignatuis Roth from drowning in the Ice Bridge tragedy, in 1918 he rescued Loftberg and Harris from a stranded scow above the Falls, and in 1928 he rescued Jean Lussier from below the Falls. Following Leach’s second rescue by Hill (this time when Leach attempted to swim the Niagara River), Hill climbed into the barrel himself and proceeded down the Niagara Gorge rapids to Queenston, Ontario. On May 30, 1930, Hill’s second attempt to challenge the river came when he chose a steel barrel 6 feet x 3 feet in diameter. The opening was a 14-by-18-inch manhole, covered by sliding steel and sealed with rubber gaskets. There were air holes on each side, which were plugged with cork and could be removed. The contraption weighed over 600 pounds and was painted red with gold lettering that read “William Red Hill, Master Hero of Niagara” inscribed on both sides. Approximately 25,000 spectators watched Hill attempt to conquer the rapids, which got off to a slow start as the barrel bobbed and bucked in the raging river for an hour and forty minutes before arriving in the lower rapids. In less than 90 seconds he had entered the Whirlpool and become trapped as his barrel violently spun in circles for more than three hours. It was only through the efforts of his son William “Red” Hill Jr. who swam out to the floundering barrel with a rope attached to his waist the senior Hill survived. 3. Which of the Niagara Falls Daredevils, died after complications after slipping on an orange peel? Answer: D. In 1911 Bobby Leach attempted to go over the Canadian Horseshoe Falls in a steel barrel — and succeeded, becoming the first man to do so. Leach owned a restaurant on Bridge Street and would boast to customers that anything Annie Taylor (the first person and woman to go over the Falls in a barrel and survived) could do, he could do better. Unfortunately, while he did succeed, he spent the next six months recuperating in hospital from various fractures and contusions he suffered during his ordeal. While in New Zealand 15 years afterwards, he slipped on an orange peel and broke his leg. He succumbed to his injuries. 4. 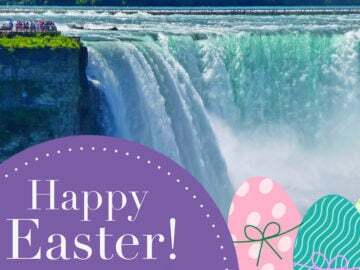 Robert Overacker attempted (and died) when going over the Niagara Falls in what? Answer: B. On October 1995, 39-year-old Robert Overacker decided to try something a little different. He had the idea to gain enough speed before going over the brink of the Falls in a rocket-boosted jet ski believing that if he got it far enough away from the grasp of the churning rapids, he would avoid it entirely. He would then release a parachute that he had attached to his life jacket and slowly drift to the rapids below. FAIL! Robert Overacker was last seen saluting the spectators as his jet ski careened over the brink. He failed to realize that the water would interfere with a successful “rocket”, plus his parachute failed to open. Moments later he was spotted in the churning rapids below. He was retrieved from the water and pronounced dead. 5. Today is June 30, 2015…156 years ago today, who was the first man to cross the Niagara Falls by tightrope? Answer: C. On June 30, 1859, a crowd of 5,000 waited by the Niagara Falls to see an astonishing feat. A French acrobat, “The Great Blondin” was about to attempt to be the first man to cross the Falls by tightrope. Blondin carried a long, narrow pole, and had no safety net. After 20 long minutes, Charles Blondin arrived safely on Canadian soil from the New York side. To read more about this monumental event click here. So, How many did you get right?? 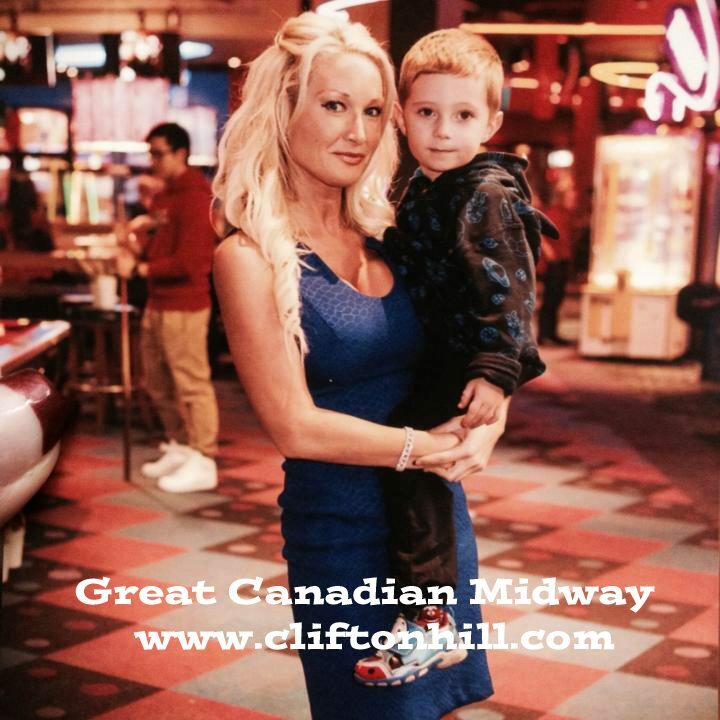 Join us on Clifton Hill from July 2 to September 7th, 2015 for the Niagara Summer of Thrills stunt shows! 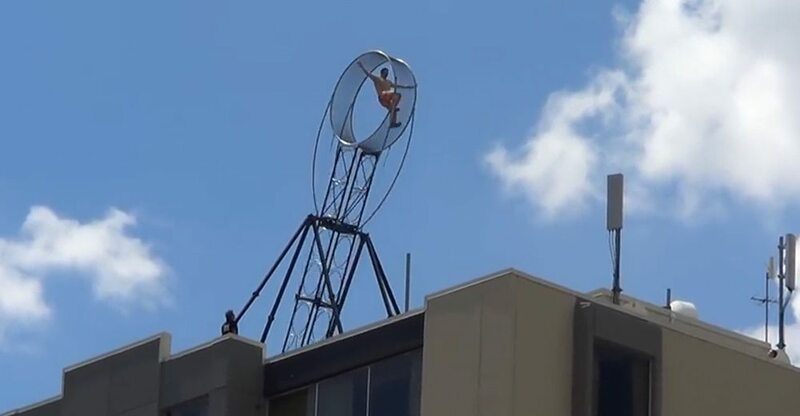 More daredevil acts continue, only this time at the top of Clifton Hill! These shows are on 5 days a week, and are completely FREE shows to view, with a wide variety of spine-tingling death-defying acts.